Daniela Quijano, or "Dani" as you may know her, is a junior who is proud to be a CavsConnect editor. Originally from Medellin, Colombia, she has lived in Miami for 5 years now and couldn't be happier to be a Cavalier. Hoping to be as involved as possible, Daniela does not only take part in CavsConnect, but she is also historian for Mu Alpha Theta, Chair Of Fundraising for Blood Drive, and Social Media Secretary for the Junior class. She wants to pursue a career in the field of Biochemistry, since she is extremely passionate about science and math. At school, you are most likely to find her studying for an upcoming test or simply hanging out with friends. Daniela also enjoys reading and listening to music. 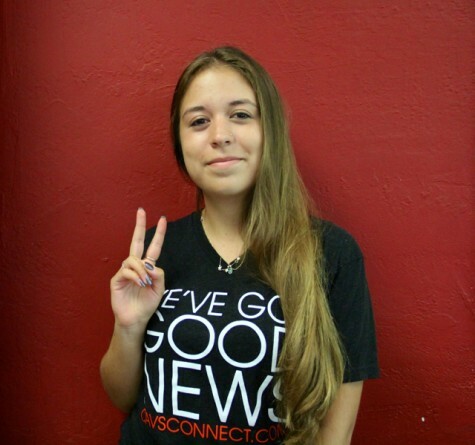 Outside school, Daniela enjoys doing archery and yoga. If you ever need help with homework or you simply need to talk, don't hesitate to give her a call!